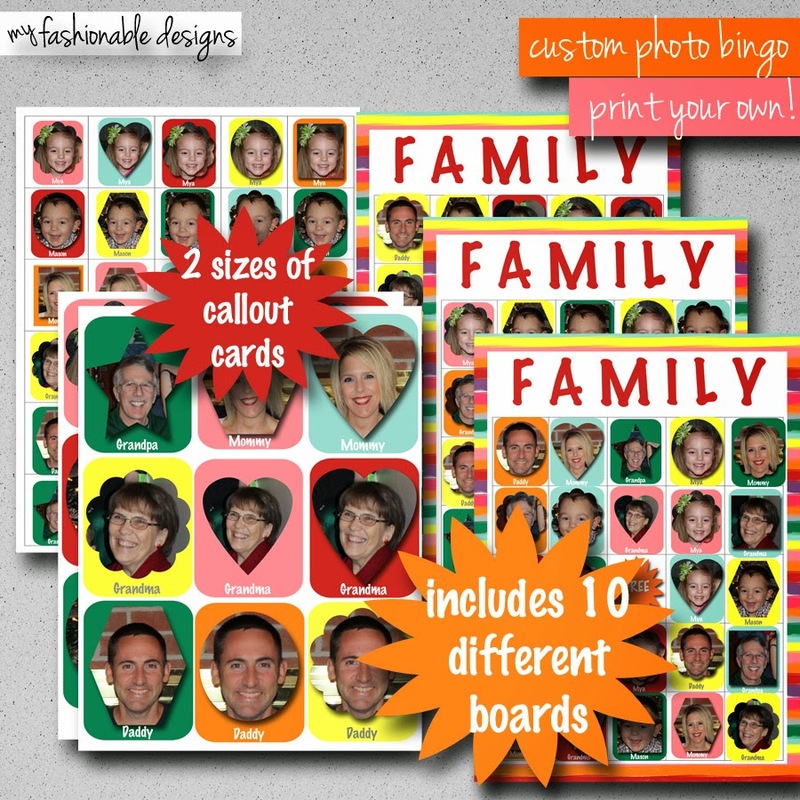 My Fashionable Designs: Custom Photo Bingo!!! We love BINGO in our house!!! We play it every week in Sunday School, we play it on family vacations and it's a great time-killer for the kids!!! So, I created a custom BINGO game, available for purchase in my Etsy shop! Enter the promo code JAMIE for $2.00 off!